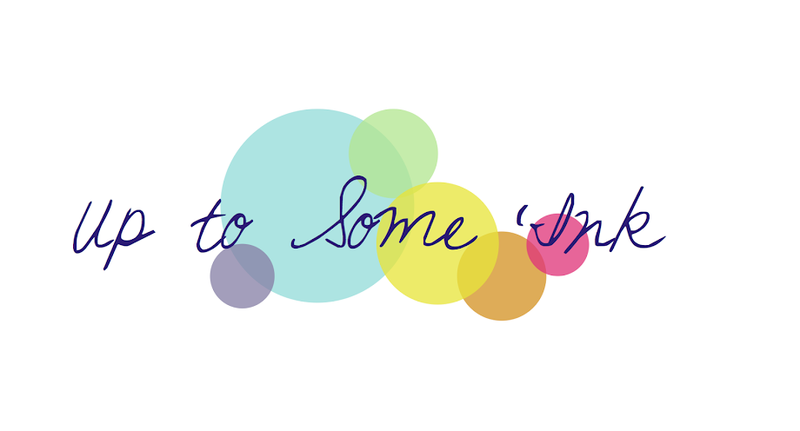 I was super excited to take part in this month's Blog Hop, and it is my first PTI BLog Hop! Even though it only has a 'touch' of gold, I really think that's what makes this card special. 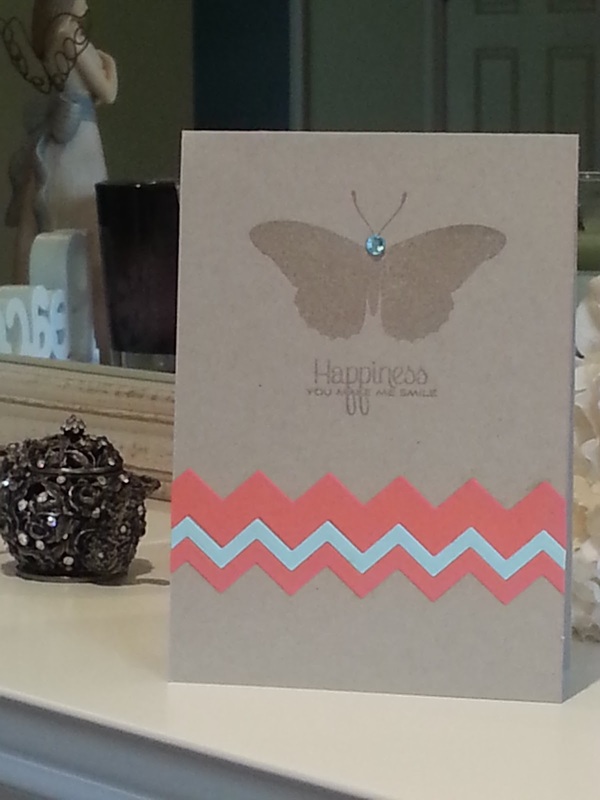 I have some new Chevron dies and love using them- so thats what I used on this card with a gold embossed sentiment. 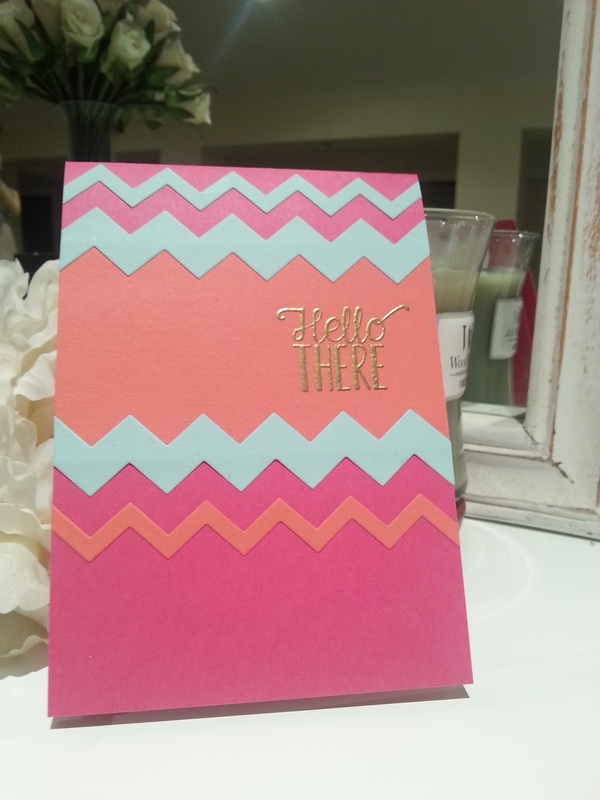 First up, this is pretty much a direct CASE ( Copy and Stamp Everything) of the amazing Jess Witty's card . You understand why I just HAD to give it a go. I love the boldness of the black and white chevrons, and those flowers add a pop of colour and a whole lotta class. I was in admiration when I saw Jess' version, and it was a pleasure to create this card and see it come to life. 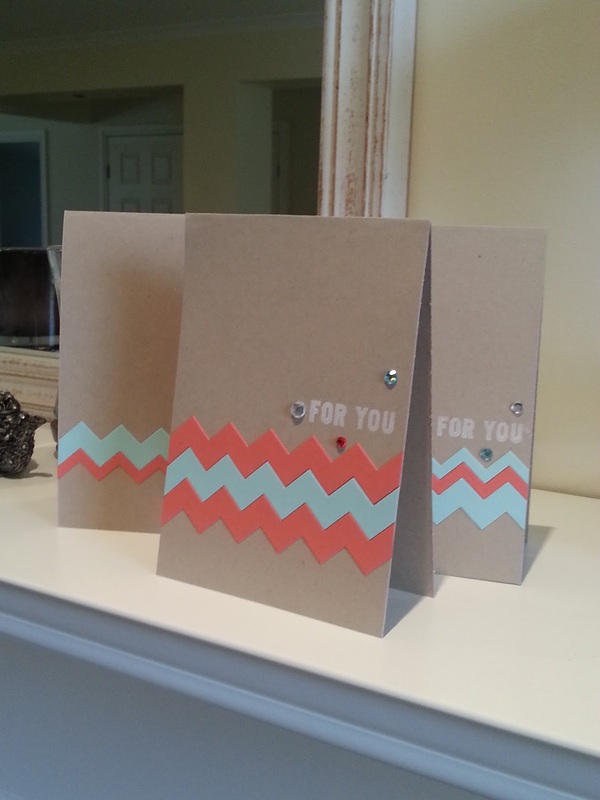 Staying on the chevron theme, made a little set of cards using some scraps of chevron that I had cut out using my new MFT chevron die. THese pics don't capture that lovley Pool Party and Calypso Coral cardstock so well- but it looks great paired with the Kraft in person. This next one is an unexpected delight. 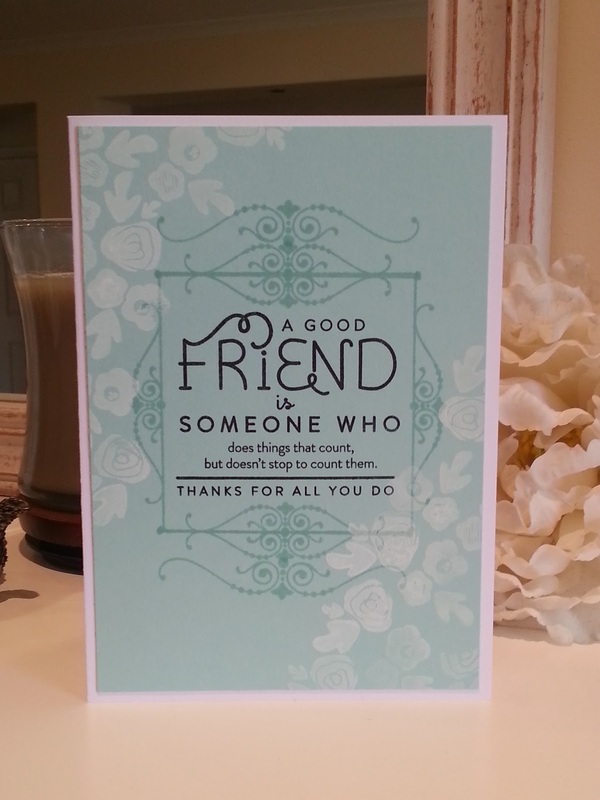 I was just playing around trying to create a frame with those flourishes, and along happened this card! 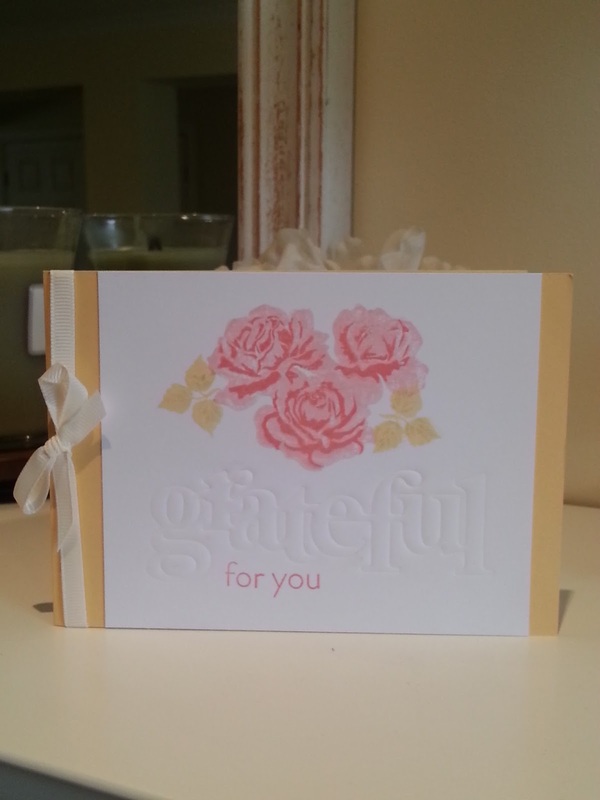 Using my new embossing mat, instead of cutting out the word 'grateful' I was able to emboss it. 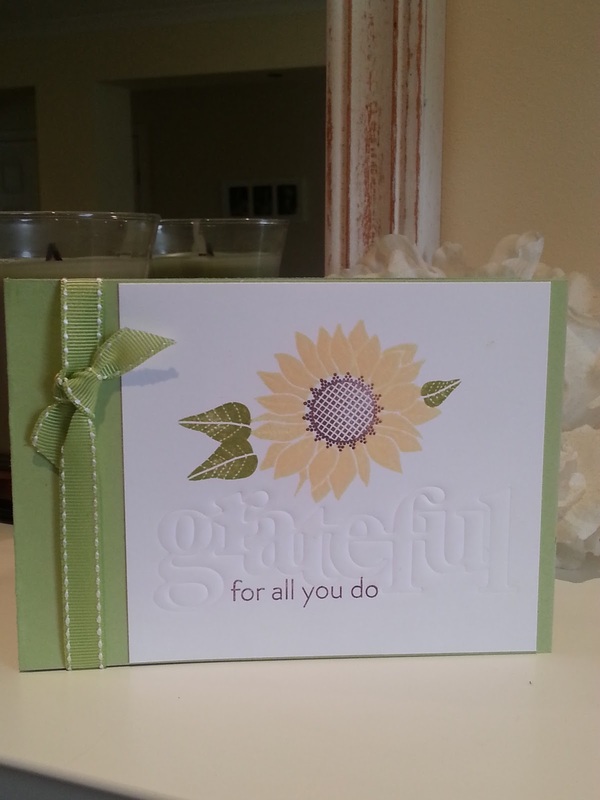 Cardstock- Certainly Celery, So Saffron (SU! ), White; Ink- (SU!) and Stamps Simple Sunflower and THe Sweet Life (PTI) Ribbon- cheapo ones from the $2 store! Glad you were able to join me today people :) Hope you found something here that made you smile. 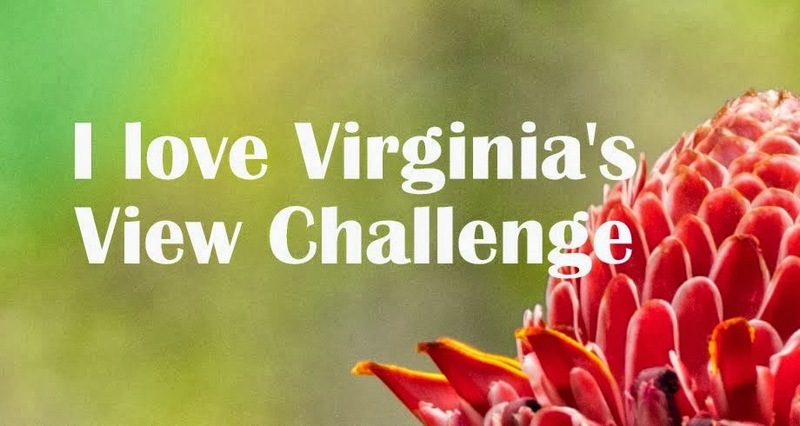 Here is my take on this week's MIM challenge. 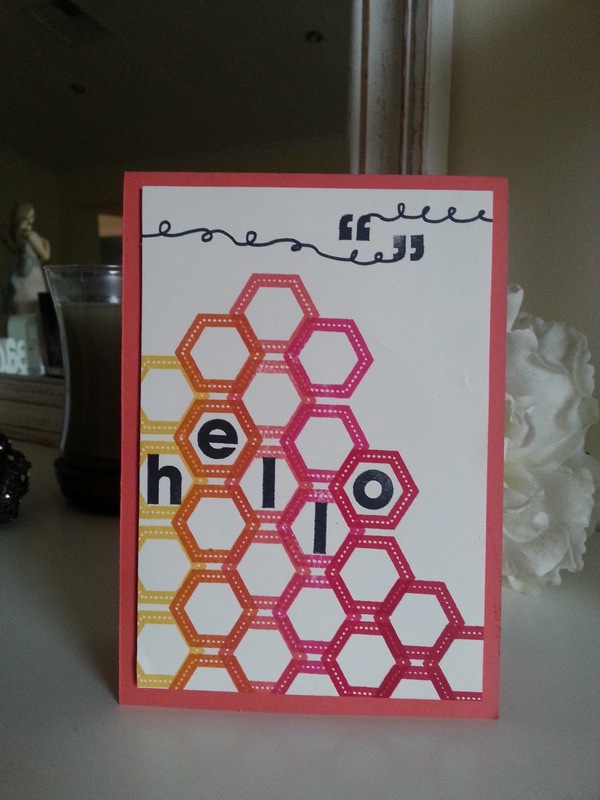 I used the hexagon background from Rosie Posie across the page and then stamped the word 'hello' using some new stamps i picked up from Kmart yesterday! The stamp set had some quotation marks which I used at the top, and then drew in some loopy lines...which look telephone cords! Thanks for stopping by everyone :) Looking forward to seeing everyones projects! Stamps- Rosie Posie (PTI) Creativ Stamp set. 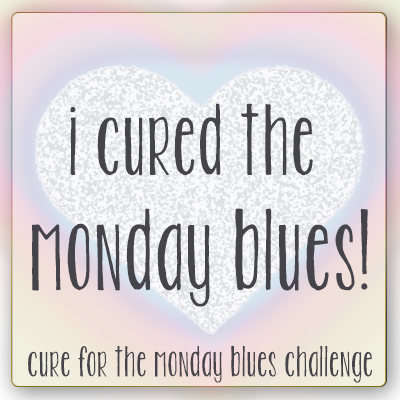 K, a really quick post today as there are mouths to feed (Geez, that sounds really dramatic doesn't it?! )....But drama is exactly what this little one is giving me right now. Mums out there I am sure you know what I mean!